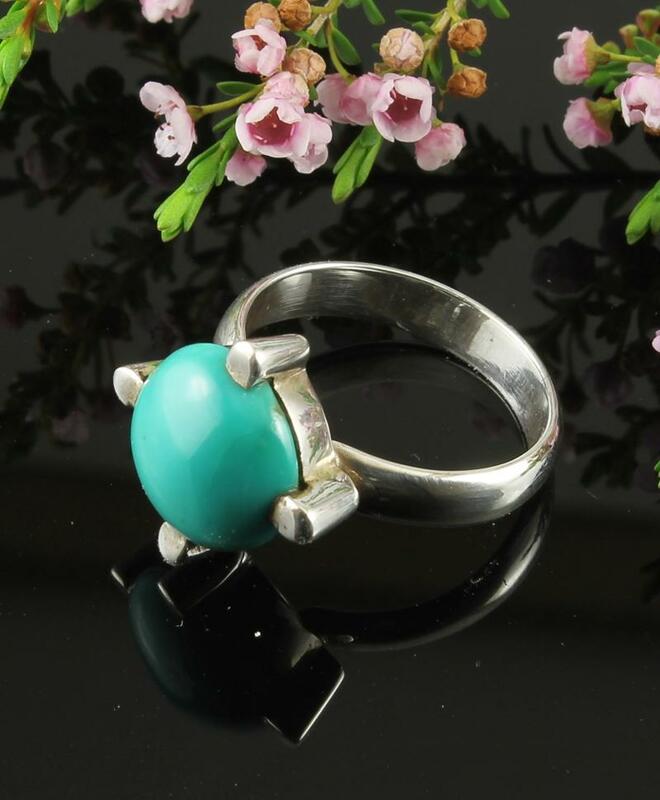 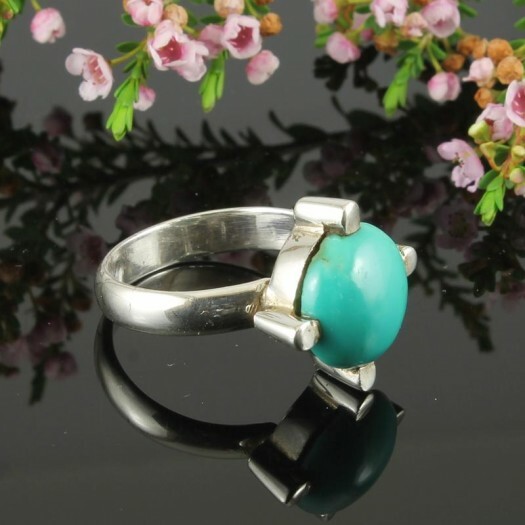 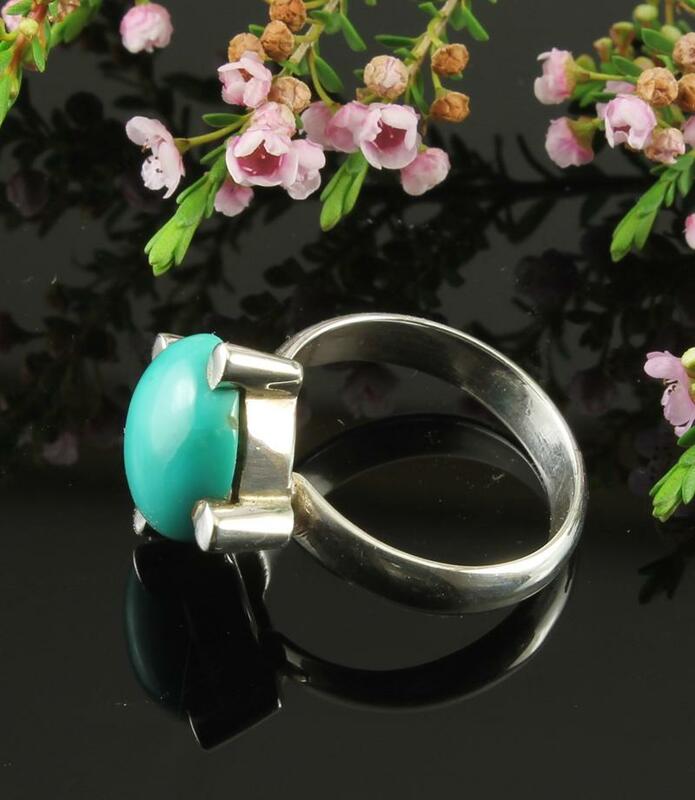 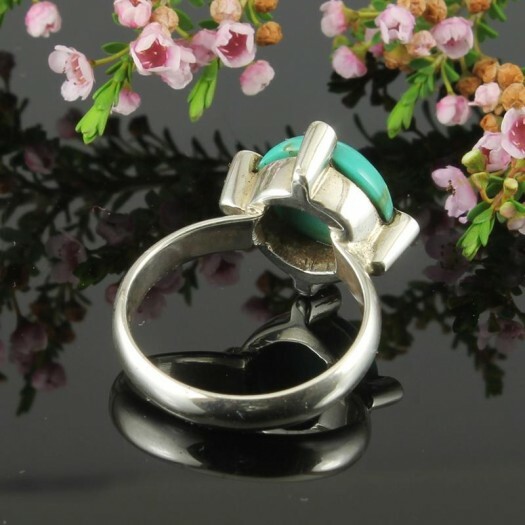 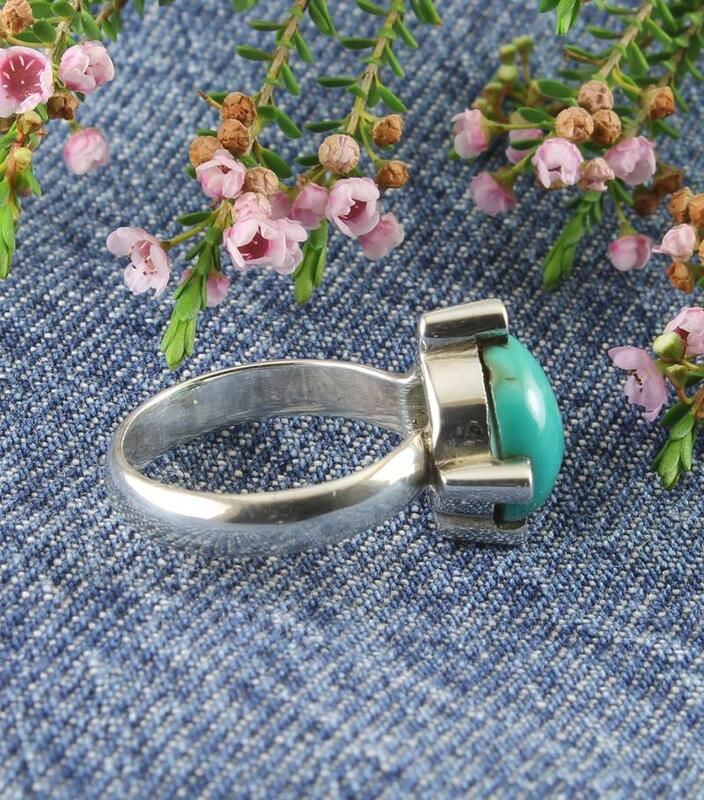 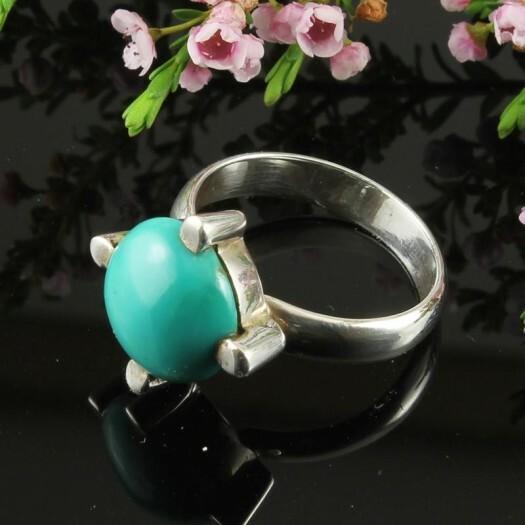 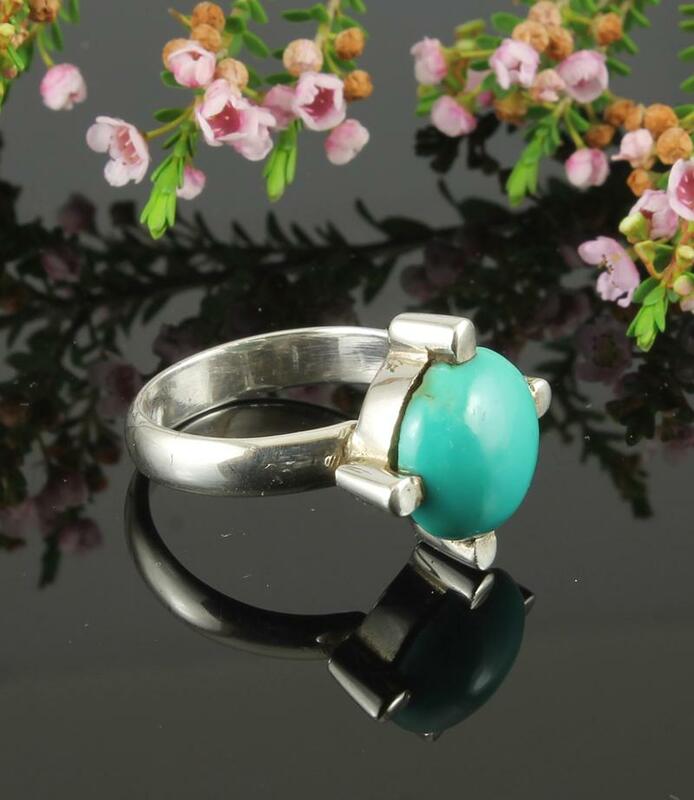 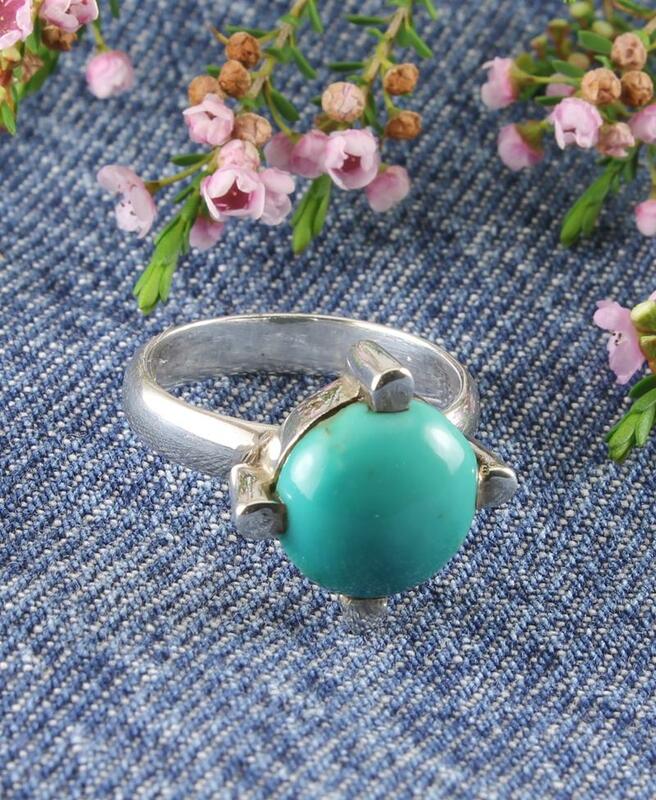 Like a piece of blue sky, this delectably coloured ring features a large, polished, convex-shaped, round Turquoise gemstone, diagonally claw-set on a Sterling Silver bezel, placed on a D-shaped Sterling Silver band. 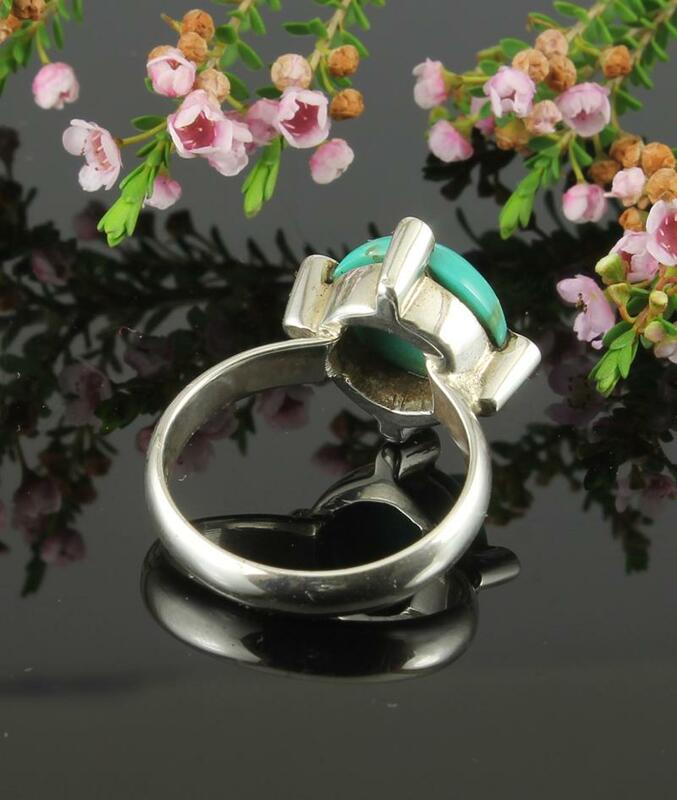 An unusual chunky handmade ring, in great style, with the four claws, providing a fascinating point of interest for your attentive watchers. 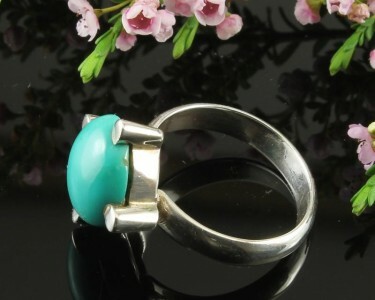 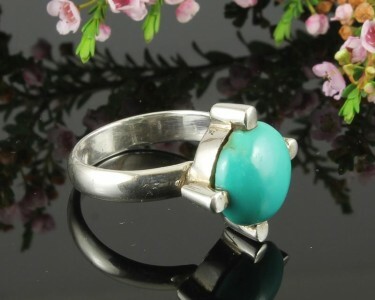 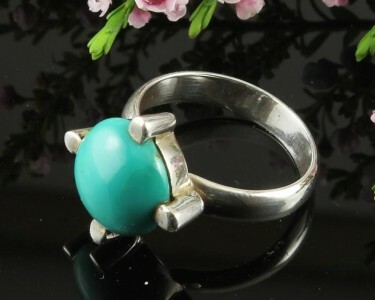 Size & Fit : Ring size: 7.5 / P; Gemstone diameter: 1.2cm/0.47in. 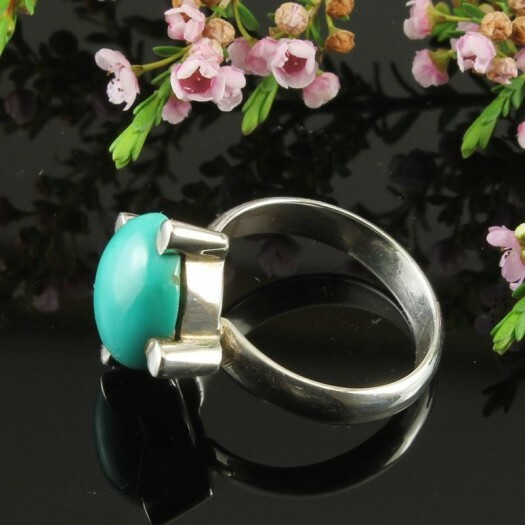 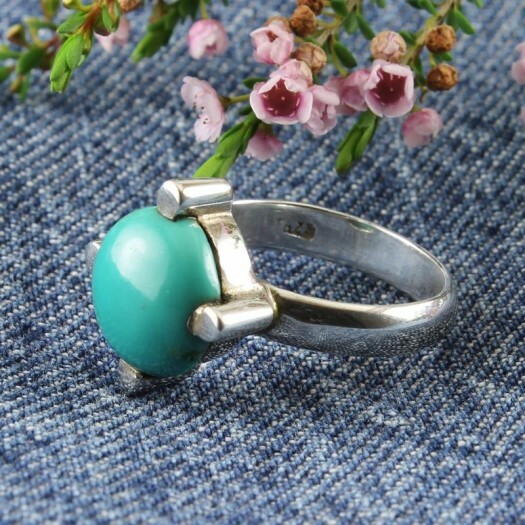 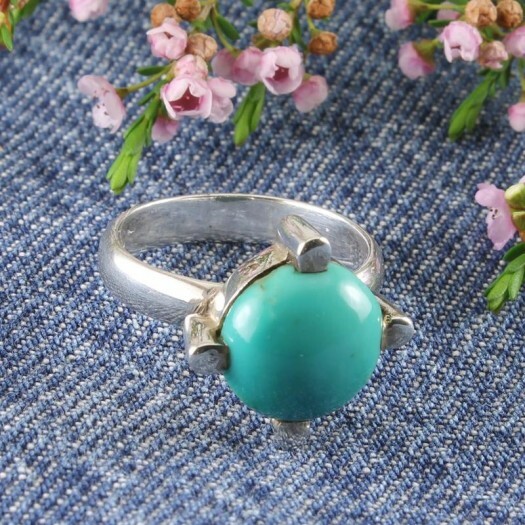 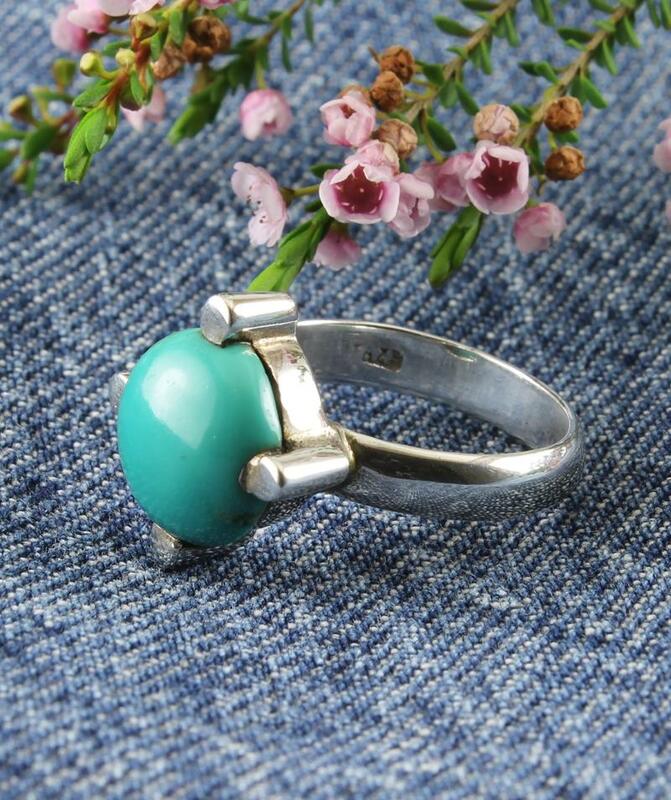 Wear It With : This ring will certainly look good with black, white, navy, turquoise, or your blue denims, but you could also stretch it go with other colours. 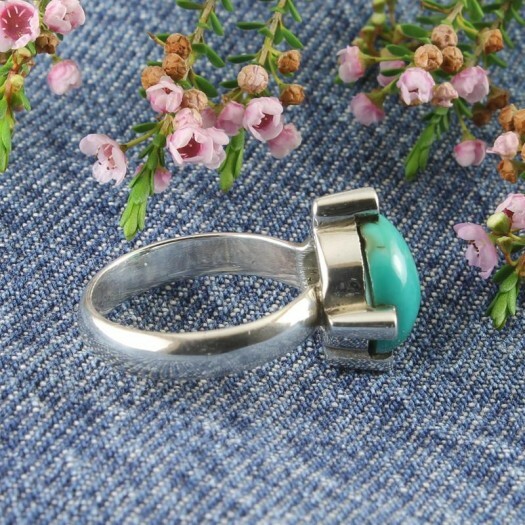 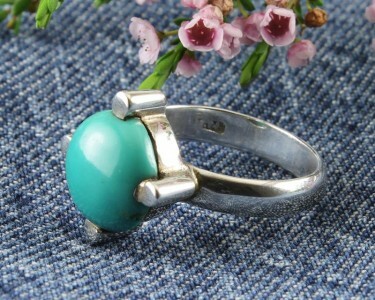 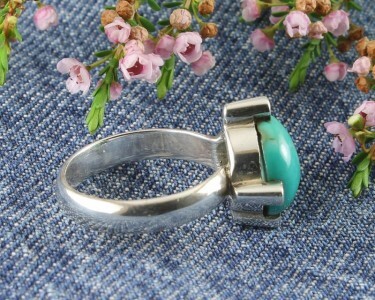 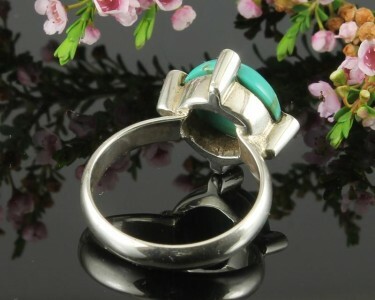 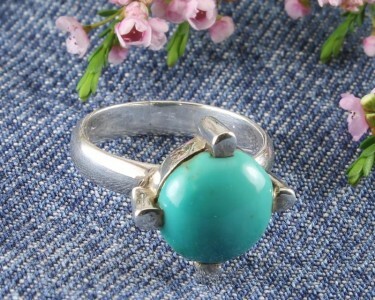 And it will be a stunning match for your other Turquoise and Sterling Silver jewellery.